The World Wide Web has changed forever since more number of businesses choose the online website route to make their business available to the Internet Users. There has a massive leap in the number of Internet users recently. At the same time the number of Mobile Internet users have risen up rapidly to surpass the PC Internet users by a big margin. Hence it no big surprise that there are now many firms and organizations around the world looking to make a website for themselves or update their existing one to make it more appealing and keeping with times. This is the case study of one of our clients who do not wish to disclose their name, although have been with us since a while and had quite a story to tell about how they went about finding a suitable firm for the development of their eCommerce website. There were in search for a good eCommerce Website Development firm with specific requirements and at the same time one that would not cost the earth since there had a set budget for it. Being in the business of selling fans of all kinds and being based able to sell only local in the city, in fact region was very restricting. Hence the client took it upon himself to change the fate of his firm for good and bravely take on the challenge of going online. This meant that he would no longer be restricted to a certain town or area and have the freedom of reaching a wider set of people nationally as well as internationally. Since his only product was fans there was a unique challenge of how to go about it. Although this included several types of fans, like normal fans, designer fans and even special fans in many different shapes and sizes. Prepare a detailed requirements document and make sure to include all the requirements and functionality that he required along with several unique solutions. Set about performing extensive search on the Internet to find the suitable ecommerce web design firm that met their requirements. They included checking the portfolio and inspecting the reviews as well as the overall web design company details and short listed 5. Once the quotes of the 5 web design firms were received there were analysed by the client. The client already had a matrix of some kind prepared. This matrix consisted of a list of factors with their weightage and a maximum score for the lot. Hence each web design firm was graded based on the matrix’s elements and the total score was calculated based on the matrix. This matrix was used to find the top 3 firms. Once the top 3 firms were established, the client requested for references. This helped the client further filter down and select the top two. With only 1 web design firm to select from the two on his list, the next step of the client was to arrange a face to face meeting with both the firms. Their aim at this stage was less about gauging the technical expertise of the web design firm and more about trying to establish a common way of thinking, culture and common though process and some that both sides could relate too. Alakmalak Technologies is a well-established Web Development firm who has already launched a large number of eCommerce Websites. 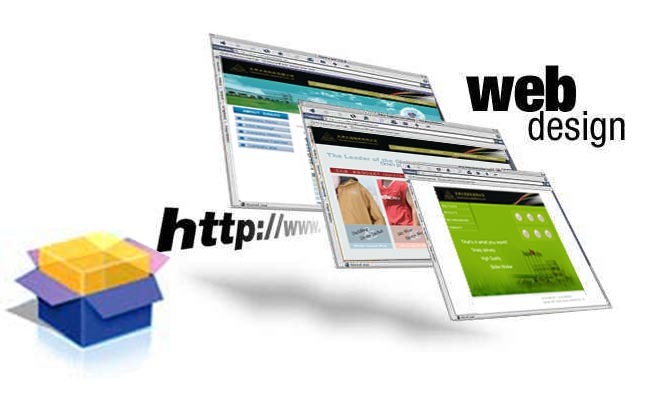 They offer a wide range of IT services that are relevant to the development of any business online. Their technical abilities were good in all relevant technical fields, besides which there were dedicated teams devoted for each technical field along with the necessary resources. Alakmalak Technologies treated each of their clients considering the industry and location. Hence their development process and design were highly customised to suit their client requirements rather than a common framework to fit all the clients and their requirements. The SEO services offered by Alakmalak were up to the mark and they happened to be quite successful at it as well. This was vital for the client since they needed to be found easily and quickly on all search engines. Last but not least they were able to find common ground in terms of culture, though process and ease of communication. Hence being a small business, it is tough to survive the big spending eCommerce giants as well as other bigger organizations. However it is all about making the right moves and limiting the losses from going up the wrong path. As this small business (with only one product, different kinds of Fans) has displayed that with a little effort and research it is possible to not only survive but to move ahead in this highly competitive world. Thus it is important to take the right decision but it is more important to take an informed decision.